If you're a procrastinator or like the idea of saving trees and postage, you've probably at least contemplated sending a digital greeting card. Fortunately this year there are a few great sites that offer beautifully designed cards, elegant envelopes and seamless animation that simulates opening a "real" card. Better yet, each site offers some designs for free. Paperless Post, the site that brought class to eCards, has added free greeting cards to its large assortment of sophisticated cards this year. There are some free designs, but sending cards usually requires you to buy virtual stamps from Paperless Post, which cost between $0.05 and $0.17, depending on how many you buy at a time. The free cards have the same textured look of real cards, but without the envelopes and animations that elevate the eCard to a near tactile experience. Regular cards or special envelopes and liners can require an additional fee per recipient, which you pay in virtual coins—$0.07 to $0.20, depending on how many you buy.) 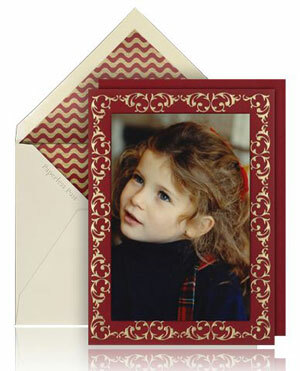 You can also personalize cards by adding additional images to the inside of the card and a greeting. And if you're not sure what to say, there's a wording assistant to help inspire you. 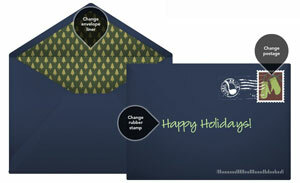 Punchbowl has a large assortment of attractive, free holiday cards that come with the full virtual card experience, including envelopes with liners and an card-opening animation. Your recipient will view an ad upon clicking through to your card, though. For an ad-free experience, you'll need to pay $2.99 per month or $19 per year. For stepping up to the Plus level, you'll also be able to create your own virtual stamp that goes on the envelope, plus access a larger selection of fonts, cards, envelopes and liners. Pingg has a huge selection of card designs to choose from, designed by Pingg members and well-known designers like Martha Stewart. 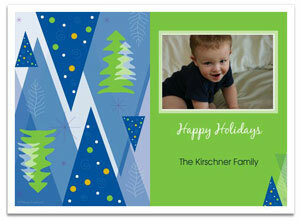 You can also choose to have your cards printed and sent for $2.50 per card plus postage. Free cards are sent with ads and there are no envelopes or liners. For an ad-free experience, you can join the Plus level at $10 per month. Membership also provides access to a catalog of 4 million images you can use to further personalize your card. Images cost $9, but they're yours with unlimited use after purchase. I own an ecard company that focuses on customization, affordability and my ecards are animated, require no plugins and will play on smartphones, tablets, desktops and even in texts! We offer free web hosting of the ecard through Feb 2014. Our prices are right on the site, we have no limit to how many you can send and there are no up charges. Our New Year’s line offers a customized matching calendar that your clients can print out!